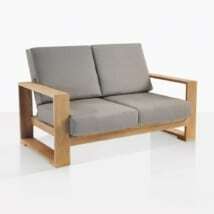 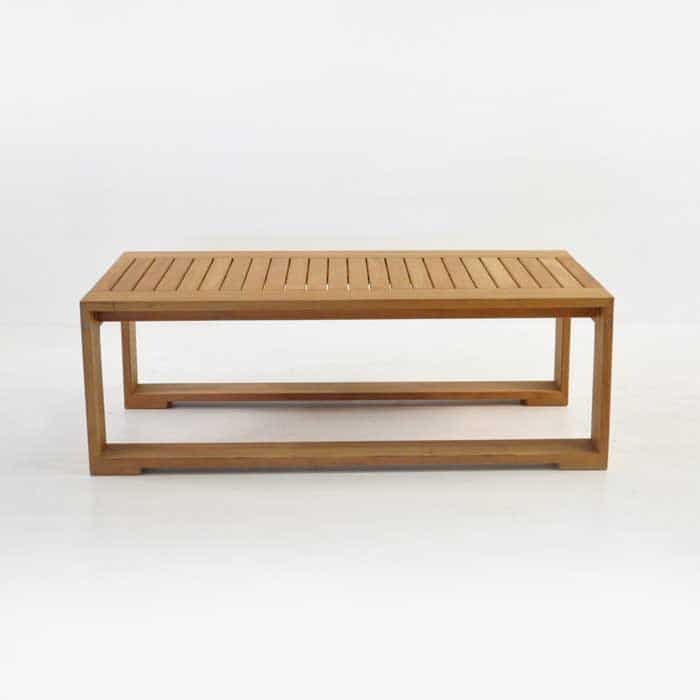 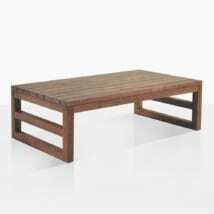 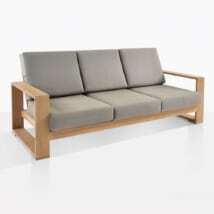 A modern coffee table made from Grade-A teak and designed to make a statement. 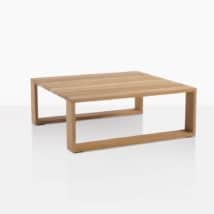 This coffee table fits perfectly with the rest of the Havana collection as well as the deep seating pieces from the Cabana Collection. The sleek appearance of this modern coffee table is achieved through the minimalist design and the open framework of the two rectangular boxes that form its legs. 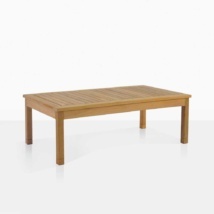 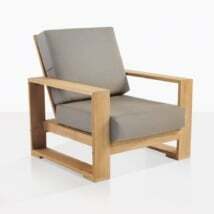 The tabletop has a beautiful spaced teak wood design, which retains the clean lines of the table. 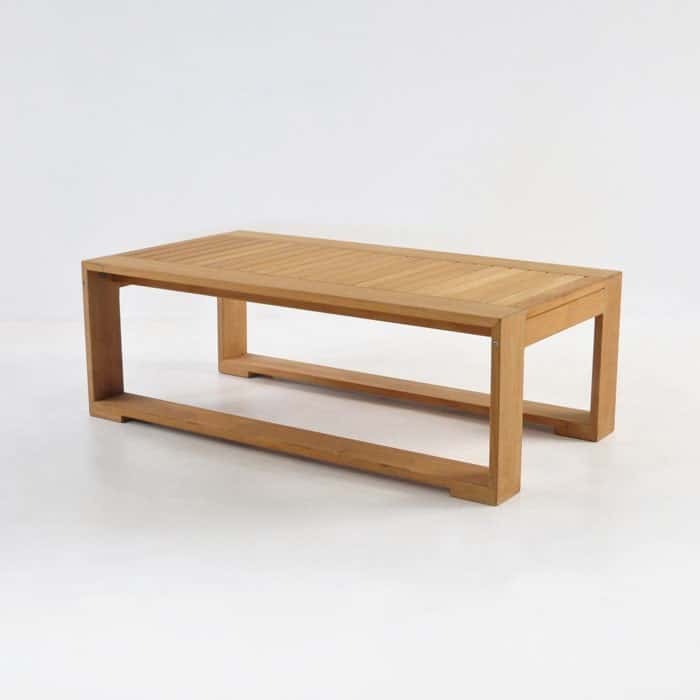 W28" x L52" x H18"
The thinner teak boards used to make the surface offsets the wide wood used for the legs of this table. Whatever angle you view the coffee table from, you notice the warm colors of the Grade-A teak and realize that the design fits nicely into a large variety of already existing room designs. 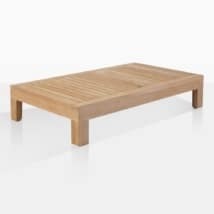 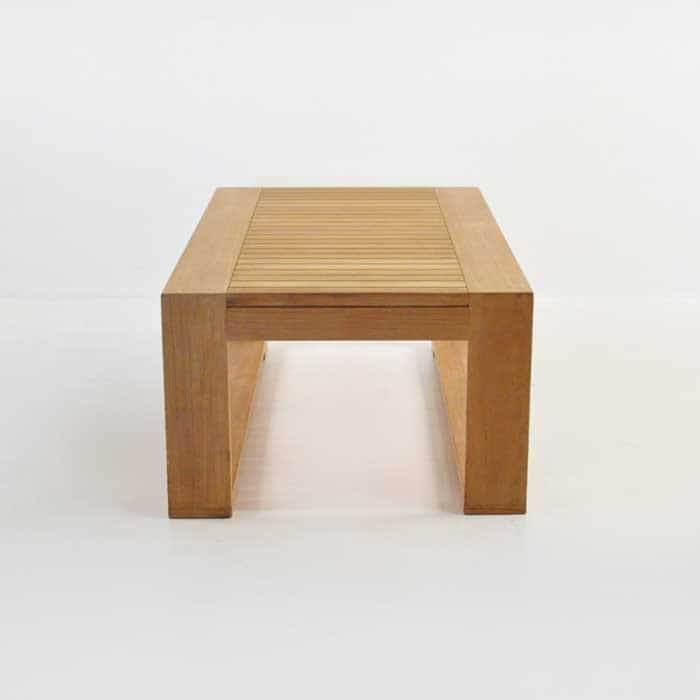 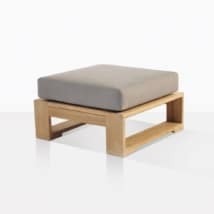 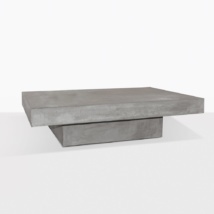 It’s made with a minimalist design and works incredibly well with other mid-century pieces, as it typifies all the elements of a modern coffee table.